Bed Bugs are a big problem that no one wants to have to go through. Unfortunately it is getting harder to avoid these unwanted pests. In the U.S. alone, Bed Bug infestations have increased by 500% in the last few years and have increased by 50% in Las Vegas. Anyone from any walk of life can have a Bed Bug infestation problem. 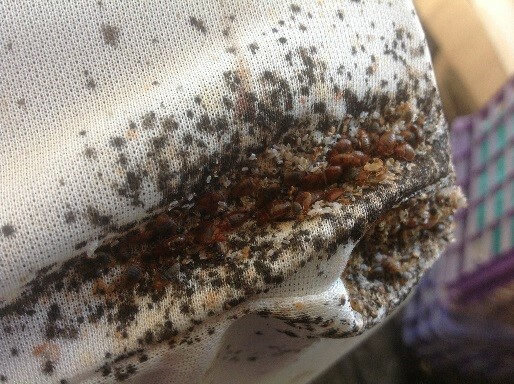 From the rich to the poor and from clean to the filthy Bed Bugs do not discriminate. If you have slept in a hotel, been to a movie theater, have a cat or dog, kids that are in school, or even shared clothes in the last year YOU ARE AT RISK. They are small blood sucking parasites that spread through contact and once in your home they nest in places like beds, cribs, sofas and dressers. Bed Bugs can produce 500 eggs within their life span and on average lay up to 5 eggs a day. The eggs hatch in 6 to 10 days and it only takes these parasites 2 months to fully mature from birth to adulthood. At the size of an apple seed Bed Bugs are resilient to most chemicals and they can lay dormant for over a year when there is no food source and wait under the carpet until a new tenant moves in. They hunt by sensing the carbon monoxide from your breath while you sleep. They crawl an average of 10 feet to find you or they drop from the ceiling onto you at night. The parasites bite does not transfer any disease nor is life threatening to people. When it feeds there is antihistamine and anticoagulant in its bite it can feed longer. They gorge themselves on your blood for 8 to 15 minutes growing to 3 times their body weight in a single feeding. These parasitic creatures return night after night leaving you with itchy bumps, rashes, and blisters all over your body. Approximately 30% of victims don’t show a skin reaction to Bed Bug bites and won’t know they have them until there is a full on outbreak. Bed Bugs are best left to be treated by the professionals. There are many effective treatments and preventative measures to consider with Bed Bug infestations. 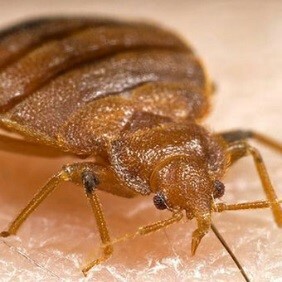 If you have or suspect you may have Bed bugs or have any other pest question call Las Vegas Pest Control. We will provide you with a free inspection of your home or business and answer any questions that you may have. So give Las Vegas Pest Control a call and let us know what’s eating you?